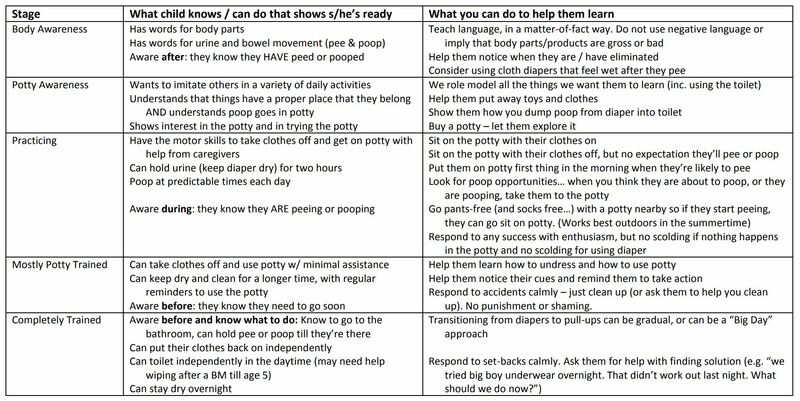 I have a fully detailed post on the potty training process, but if you prefer the short 1-pager summary, click on the image below, or view/print the PDF of Potty Training Stages. Read the columns titled: Stage and “What child knows…” Find the stage for which your child can consistently do all the things described in that second column. 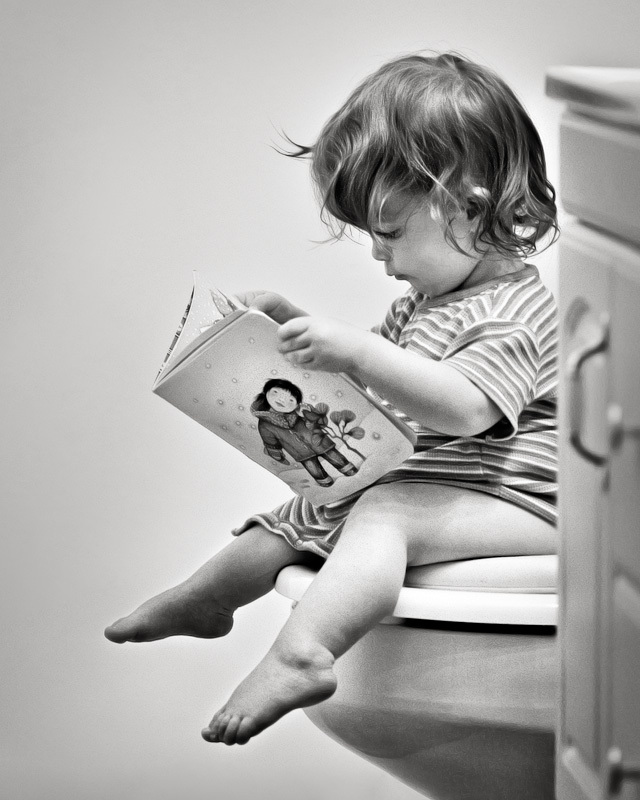 That tells you what your child’s developmental stage is. Then look at what you can do to help them progress to the next stage. More info from the American Academy of Family Physicians; American Academy of Pediatrics and the University of Michigan.